The Connells began to come together as a group in the Spring of 1984. Mike Connell was in his second year of law school and his brother David in his last semester of college, both at the University of North Carolina in Chapel Hill. The brothers, David playing bass and Mike guitar, rented a practice space and began working up several of Mike's songs with a friend, John Schultz playing drums. John was a junior at UNC and was from Raleigh, where the Connell brothers' home base now was located. The band tried a few singers that Spring before settling on Doug MacMillan, a childhood friend of Schultz's and a swimmer at East Carolina University. At the end of the school year, the practice sessions moved to John Schultz's basement in Raleigh. They played at one spur-of-the-moment party that summer, for no compensation. As the summer wore on, the members decided to replace John. He went on to become director of independent films, "behind the scenes" documentaries, and music video (including "Get a Gun" for The Connells). The new drummer was Peele Wimberley, who was playing in a locally-successful Raleigh band, Johnny Quest, that included friends of Mike and David's. Around the time that Peele was brought in, Mike officially asked Tom Carter to be the band's manager. Immediately upon Peele's joining, the band made great strides. Within a few weeks they played their first real show in September 1984, at the long defunct Cafe Deja Vu in Raleigh. The band all lived in Raleigh now, except Mike, who had returned to Chapel Hill for his final year of law school. David lived in his grandmother's house in Raleigh. The garage of that house (in which the grandmother did not live) also became the band's practice space. Many of the first few shows were at the Cafe Deja Vu and other clubs in the Cameron Village Underground. The underground was so close to the band house that some of them would walk to shows, carrying the equipment. This was fortunate, since the largest vehicle owned by the band members was an aging station wagon. That fall the band recorded a 3-4 song demo at a studio in Chapel Hill. One of the songs, "Darker Days," was included on a compilation of North Carolina bands, More Mondo, released by Dolphin Records. Dolphin was owned by the Record Bar retail chain and had released an earlier album on the same theme entitled Mondo Montage. George Huntley had grown up around the corner from the Connell brothers' grandmother and had known the boys since childhood. He had played with The Connells at a few parties, opening as a solo act and performing a variety of originals and covers. As 1984 drew to a close, he expressed interest in joining the band. Based on his talents as a guitarist, singer, and songwriter; his offer to purchase a keyboard; and his VW van, he was added to the lineup. This five-man lineup has remained intact for over a decade. In March 1985, The Connells recorded another demo tape, this one intended to be of release quality. The tape was produced by Don Dixon and Rob Abernethy (then known as Rod Dash), former bandmates from an early 80s Raleigh band called Arrogance. Recent UNC grad and friend Ed Morgan took the tape to London, where he spent the summer. Ed (Morgan) had interned at Dolphin Records and learned something about the music industry. He shopped the tape to several labels, including Demon Records. Demon agreed to pay for an additional studio session to record additional songs to fill out an album, which they would then release in Europe. The band went to a different studio to record additional songs with Steve Gronback and Dave Adams at the helm. The resulting album was Darker Days. Upon Ed's return from England, he started Black Park Records to release the album in the United States in Fall of 1985. Operating out of his bedroom, Ed and Tom Carter, who handled booking and legal matters, got some independent distribution for the record and began to book the band on tours throughout the country. 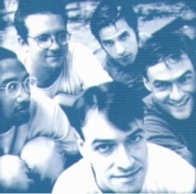 Friends made videos for "Seven" and "Hats Off" that recieved some airplay on MTV, which at that time was much more open to low budget independent videos. Incidentally, the title for "Seven" is a holdover from the early days when none of the songs had titles, just numbers according to when they were worked up. "Take a Bow," from One Simple Word, was originally "Two," and "In My Head," from the UK Darker Days, was "Six." After "Seven" most songs were given titles when written, except "Elegance," "If it Crumbles," and "Try," from Boylan Heights, which were "New One, Two, and Three." Those three songs were recorded in the winter of 1985-86 at a demo session at Fort Apache, a new studio started by some friends in Boston. The lyrics and resulting titles were written during the session. This sitar-laced version of "If it Crumbles" can be heard on the flip side of the Hats Off 12" single. The only other Connells record released on Black Park. Fort Apache later moved from dicey Roxbury to comfortable Cambridge and has become one of Boston's best studios. It was here that Fun and Games was recorded. Most of that winter was taken with touring. The band began to develop followings throughout the Southeast and in Boston, New York, Washington, and Chicago. By this time they had toured the Midwest several times and the West Coast once. Touring was bare bones at that time. Sometimes They would go for weeks without getting a motel room, sleeping in the van or on the floors of kind friends and strangers. It has been suggested that the band's primary sustanence was tuna fish salad, yogurt, raisin bran, and canned beans. The large cooler that had been given to the band served as their kitchen, table, and bed, bridging the front bucket seats of the van. Although these were trying time, they were the source of many of the band's fondest memories. Because the tours were so sparse, they had plenty of time to see the sights and stay with people long enough to get to know them. The highlights of the band's first trip west were visits to the Grand Canyon and Crater Lake and a week in Chico, California. In the Spring/Summer of 1986, The Connells signed with TVT Records. That summer they recorded Boylan Heights with Mitch Easter (of Lets Active). The album was released in the Fall behind the full force of TVT's promotion and distribution staff. Another friend made a video for "Scotty's Lament" that was picked up by MTV, and a more established director taped "Over There." Around the time of the TVT signing, The Connells also signed with a professional booking agent. This meant that the band could now afford to get a motel room or two while on tour. Also around this time, Black Park Records licensed its products (except Darker Days) to a new label, Mammoth Records. The other bands in Black Park were The Downsiders, from Chico, California, and A Picture Made, from Pittsburg, Kansas. Ed Morgan and Tom Carter started Black Park, Inc. as a management company, with Tom focusing on The Connells and Ed taking on other acts. They shared an office space in Raleigh with Mammoth. With the release of Boylan Heights, The Connells became a full-time touring unit. The album performed well on college and alternative radio charts and was on a number of critics' best-of-the-year lists. The rest of the history is pretty well documented and dates gets fuzzy. In 1990 Ed Morgan made an easy transition into full-time manager. Sometime that year or the next Steve Potak began touring with the band and playing keyboards. Eventually he became an official member. In 1995 TVT licensed Ring to Intercord Records in Germany. The song "74-75" became a hit in Germany and spread throughout Europe. It reached number one on the sales charts in several countries and went gold or platinum in a few more. The band spent a good part of that year touring throughout Europe. ** Ring was produced by Lou Giordano and The Connells with Tim Harper assisting. On April 12, 1996, George Huntley released his first solo record, Brainjunk. The song freeman was originally recorded during the Ring sessions. After an initial tour of Europe the band came back to the states for a rest and to begin writing new songs for the follow up to Ring. Weird Food and Devastation was released in 1996. Weird Food was produced by The Connells and Tim Harper. The title was based on a comment that Steve made about taking pictures of "weird food and devastation" while on tour in Europe. "Fifth Fret" and "Maybe" were released as singles. IMPORTANT ANNOUNCEMENT: Digital releases of Boylan Heights, Fun & Games, One Simple Word, Ring, New Boy and Still Life will be available via Amazon starting 8-31-2010 and through all other major digital services on 9-14-2010. On May 26,1998, The Connells released their latest album, Still Life. TVT once again distributed the record in the United States. The band co-produced the album with Jim Scott and Tim Harper assisting. The band supported the album with full-scale touring in the U.S. and elsewhere. Peele Wimberly left the band after the Still Life album. The Connells began preproduction for their next recording with producer Lou Giordano (Ring) at their rehearsal space in Raleigh, NC in 2000. After a falling out with TVT Records the recording sessions were abruptly cancelled and the contract was cancelled as well. The band went on to continue working on the demos recorded for this record and eventually released these songs in 2001 on the album "Old School Dropouts." The band's long-time friend, Steve Ritter stepped in to handle rhythm duties along with performances by Jon Wurster of SuperChunk. George Huntley left the band after the Old School Dropouts album. Today the band continues to play in the Southeast region regularly, after recruiting another great friend, Mike Ayers, to play lead guitar. The drama continued with TVT Records and The Connells' catalog of recordings. TVT Records borrowed $23.5 million in 1999 from Prudential Securities, based on anticipated income from the label's catalogue.By August 2002 Prudential claimed TVT Records were in default on the loan as the revenue was not enough to meet the repayment formula and therefore Prudential was entitled to ownership of the catalogue assets. TVT Records responded in July 2003 with a claim that Prudential had violated the loan agreement, which TVT maintains was tied to just 5% of the catalogue, and was seeking unfairly to gain control of the assets.